← Food Highs and Lows. 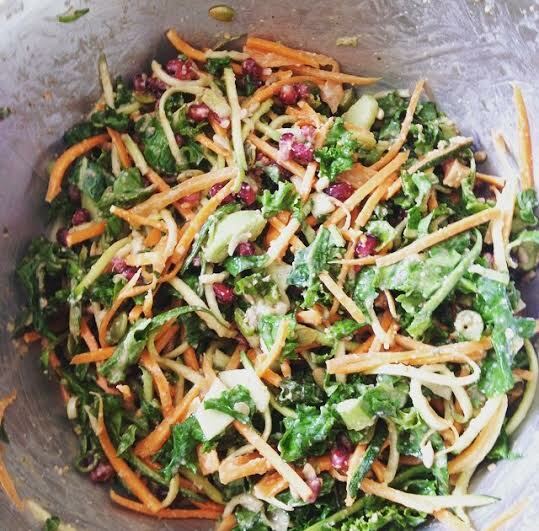 Bring a little sunshine and zest to your rainy afternoons with this scrummy, yummy salad packed with flavour and goodness. Or have it in the summer to accompany a BBQ or on its own for a simple lunch. Its not expensive (I got most of my ingredients from a well renowned no-frills German supermarket) and is super easy to make! 2 large handfuls of (washed) kale, roughly chopped. Method to the zesty madness! Add all the dressing ingredients into the jam jar and shake it all up real good! Smother the base ingredients with the dressing the salad… the longer it marinates the better. 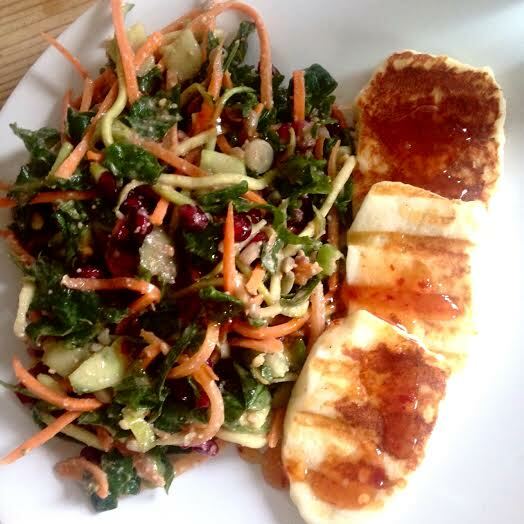 Hope you enjoy this simple and delicious salad and I would love to hear your feedback! Up next I will do a post on a couple of my vegan breakfasts including my overnight vegan z-oats, chia pudding and banana pancakes – all gluten free of course!